We’d love your help. 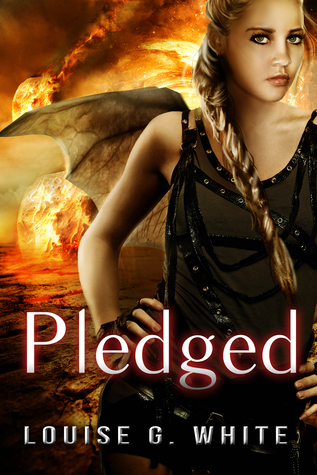 Let us know what’s wrong with this preview of Pledged by Louise G. White. Rather a lot: Carolyn’s mother is livid about her “rescue” and Edward is being groomed for a chiefdom he doesn’t want. The Agency’s “elixir of life” has been perfected, and O.W.E. permits mean that certain humans have been authorised to work in the demon realms The deal was simple: Carolyn and her friends could return home after 21 days. What could happen in 3 short weeks? To ask other readers questions about Pledged, please sign up. So you wanna play with magic? Think you can handle the spells, magicians, demons from other worldly realms, twisted kings and advisers who have secret agendas? No you haven’t stepped into the twilight zone, you’ve journeyed into the brilliant mind of Louise G. White! This lovely muse has found favor, she shines brightly with five stars! Carolyn was more than little girl lost living in her father’s household, enduring the mandatory separation from the Protectorate team and Note. With all the sec So you wanna play with magic? Think you can handle the spells, magicians, demons from other worldly realms, twisted kings and advisers who have secret agendas? No you haven’t stepped into the twilight zone, you’ve journeyed into the brilliant mind of Louise G. White! This lovely muse has found favor, she shines brightly with five stars! Carolyn was more than little girl lost living in her father’s household, enduring the mandatory separation from the Protectorate team and Note. With all the secrecy and lies her true self was forced into submission as she conforms to the new lavishing roles. But absence makes the heart grow fonder right or has the day of reckoning finally come with a price? Want to know more...then buy the book, better yet get the trilogy! The destroyer is back. Pledged by Louise G. White brought me back into Carolyn’s world, her universe, really, with all of the characters, their personalities, their quirks, and for some, their intense dislike of each other. 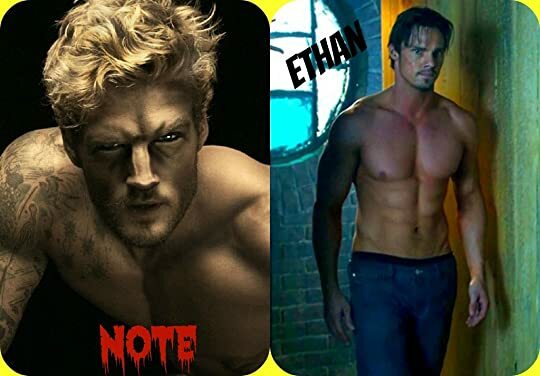 Note and Ethan have proven they would do anything for Carolyn, but it seems playing nice isn’t one of them. Must our brave destroyer choose who she loves? She would so rather be slaying demons. Danger, the unknown and the “elixir of life” are about to make Carolyn’s world a l The destroyer is back. Pledged by Louise G. White brought me back into Carolyn’s world, her universe, really, with all of the characters, their personalities, their quirks, and for some, their intense dislike of each other. Note and Ethan have proven they would do anything for Carolyn, but it seems playing nice isn’t one of them. Must our brave destroyer choose who she loves? She would so rather be slaying demons. Danger, the unknown and the “elixir of life” are about to make Carolyn’s world a lot harder to survive in, to keep others safe, but like any good fantasy driven by amazing characters, good versus evil is never an easy battle, especially if you only have three weeks to do it. Louise G. White has an imagination that shines bright once again as we follow along in a world filled with fairies, different realms, high mages and their apprentices, as well as a leader who is unsure of himself. After all of her years on earth, this world that Carolyn has been awakened to has caused her to come into her own and embrace those around her with their special gifts. Imagine a home with ten levels that you can't see, fairies that learn to mimic human moves, including dance, Amazonians and magic and you have a tiny glimpse into the Ms. White’s world. Fast-paced, filled with twists, and magic gateways, this is a beautiful world to escape to for a few hours and let your own imagination run wild! You’ll love some characters, wonder about others and learn that each plays an important role in Carolyn’s tale. Read the series in order, and you’ll see just how detail-oriented Louis G. White is with wasting a single word! I received an ARC edition from Louise G. White in exchange for my honest review. After finishing a book with a spectacular ending, be it tragic or happy, I’m high on the feels and then looking back days or weeks later I don’t understand what made me give it such a high rating. This series has once again been the exception, throwing my all my expectations out the window – a really good thing! Louise G. White continues to surprise me with how quickly I become invested in the story each time I pick up one of her books as well as how much I care about the characters, old and new. I could read the story from any perspective and love it! Which says so much to me about how amazing each aspect of the book is. There is something for everyone in this complex world – magic, action, adventure, fast-pace, twists, platonic relationships, humour, romance, betrayal, darkness and more. I can’t recommend the Gateway series enough. This amazing epic fantasy trilogy reaches the most perfect ending in Pledged Book 3 of The Gateway series. Prepare to be amazed, surprised, thrilled and so much more. I have been captivated by these novels as Carolyn along with the brave and growing members of the protectorate team, travel throughout realms saving innocents. This is a jaw dropping, action packed novel that sweeps the reader along plunging into a mystical world with its powerful witches, dysfunctional fairies, magnificent mage This amazing epic fantasy trilogy reaches the most perfect ending in Pledged Book 3 of The Gateway series. Prepare to be amazed, surprised, thrilled and so much more. I have been captivated by these novels as Carolyn along with the brave and growing members of the protectorate team, travel throughout realms saving innocents. This is a jaw dropping, action packed novel that sweeps the reader along plunging into a mystical world with its powerful witches, dysfunctional fairies, magnificent mages and a currently lost and romantically challenged mythical destroyer. Gateway travel dynamics are changing, Carolyn is to return to earth in 21 days, memories have to be sorted, magic mastered, family reunited, Chief appointed, team bonded, shared gifts, justice served and that is just the tip of the iceberg. Due to constant fighting, Carolyn is referee to her two companions as Ethan's bad temper and frustration increase as he mourns the loss of his magical abilities. Mario utilises this time teaching and training Carolyn in magic as their friendship remains true. Father and daughter share a gentle, strong and familiar bond. Carolyn has developed beautifully both as a person and as the mythical destroyer. The turmoil and ultimate betrayal she suffers result in Ethan swooping to assist her, regaining his abilities in jaw dropping brilliance. Louise White's style of writing allows amazing insight into each character. The interaction between the dark mage and Jonah, the young fairy hybrid as he encounters spirits leaving their bodies is delicately and thoughtfully written; leaving me with goosebumps. The author has intricately woven a web of deceit throughout the realms that I think gives this book a dark, sinister and totally exciting feel. Complete with delicate touches such as Tess with her infant chatter reducing Mario to the cats miaow, thus adding a reality to the fantasy that makes the Gateway series completely believable. Siren & Ella, Sean & Note, Sean & Jonah, Carolyn & Mario. I found myself sharing in the contempt Hecaton has for Edward and was enthralled when reading of the ceremony events which Louise White amazingly brought to life in glorious technicolor. And as for Note? Great balls of fire!!!!!!! He has come so far magically and what a strength of character. Note is considerate, strong, compassionate an inspiration to all. The diverse turns in his momentous journey left me amazed, dazed, thrilled and stunned. Never sure where to start after finishing such a riveting tale. I’m not a hundred percent sure if this was supposed to be the final book in this series, but if not, great. If it is, that’s not bad either. White gives a very satisfying ending, and like all great stories, they never truly end. There will always be the, wait, what else might happen, and then, I want to know more. This book will leave you reeling with emotions; and oh so much more. I have to say that Carolina is my favorite. I was n Never sure where to start after finishing such a riveting tale. I’m not a hundred percent sure if this was supposed to be the final book in this series, but if not, great. If it is, that’s not bad either. White gives a very satisfying ending, and like all great stories, they never truly end. There will always be the, wait, what else might happen, and then, I want to know more. This book will leave you reeling with emotions; and oh so much more. I have to say that Carolina is my favorite. I was never that much of a fan of Note, can't put my finger on it, but I believe it might have been the lack of choice on Carolina’s part. In fear of spoilers, I will only tell you this. I believe the author puts strength and dignity into all her characters. The adding of new characters and depth to her ongoing characters, continues from where the author left off in Chasing the Demon. I feel like I could go on for hours about this book, but then realize I might mess it up for other readers. This is a fun ride, and a fantastic read, but there is more to it than that. It’s deep, what I mean is, the story as real depth, true depth. I have read books that are set within a fantasy world. The author spends untold hours building this world and adding with great detail, so much so, that you might think it's real. Rich in un-known cultures and new lands just a step way through a gateway. Lucky for us, we have Carolina to protect us from demons and monsters. I have been so glad to have received an early copy, not sure I could have waited after reading the second book. I cannot wait to see what Louise White does next! At the start of the book we get a wonderful summary of the story so far. I loved the idea of the refresher summary and I loved the execution - It was like a warm hug from a friend I hadn’t seen in ages. Each book introduced new charters while keeping the o Oh my gosh where do I start. I have been hanging out for this book since I finished Chasing the Demon in July last year. I’ve now read it and Loved it, but am sitting here trying to figure out how to tell you about the story without spoiling it. I've loved this whole series - I've been intrigued by this universe and I've cared about the characters; the plot twists have been surprising, the situation remains compelling. Now I'm blown away by how much book 3 expands the series' scope, and demonstrates White's ongoing growth as a writer. These novels are smart and witty and engaging, and book 3 develops the sweep of an epic with complex family dynamics across multiple dimension and species. Book 3 ties things up in quite satisfying ways, b I've loved this whole series - I've been intrigued by this universe and I've cared about the characters; the plot twists have been surprising, the situation remains compelling. Now I'm blown away by how much book 3 expands the series' scope, and demonstrates White's ongoing growth as a writer. These novels are smart and witty and engaging, and book 3 develops the sweep of an epic with complex family dynamics across multiple dimension and species. Book 3 ties things up in quite satisfying ways, but - phew! - leaves room for other stories to proceed in many possible directions. Holy moly, talk about an amazing third installment. From Book One, it was clear to me that Ms. White is a fantastic storyteller, my favorite part being the world-building. She just DESTROYED my expectations for this third novel by exceeding them. I love a book that keeps me guessing throughout, and then gives me a plot twist I never saw coming. I’m not surprised, I’m just completely satisfied after reading this—well, maybe not completely ;) Looking forward to more from Ms. White! It goes without Holy moly, talk about an amazing third installment. From Book One, it was clear to me that Ms. White is a fantastic storyteller, my favorite part being the world-building. She just DESTROYED my expectations for this third novel by exceeding them. I love a book that keeps me guessing throughout, and then gives me a plot twist I never saw coming. I’m not surprised, I’m just completely satisfied after reading this—well, maybe not completely ;) Looking forward to more from Ms. White! It goes without saying that I HIGHLY RECOMMEND this book, but I don’t need to do that, because if you’ve read the first book in the series, you’re not going to want to stop. Wow I loved this series. I am gutted this was the last book, because was everything I was expecting and much more. It's truly a good read with amazing characters and unexpected twists in the plot. I would recommend that you buy the whole series because you won't be disppointed. I have read the series twice now and I am captivated with the story. Hope u enjoy it as much as did? Lots of twists, detailed characters with the tale woven together for a perfect ending for this trilogy. A must read for fantasy and paranormal lovers. Looking forward to reading more books by Louise White! In "Pledged" the third book in the fascinating "Gateway" series the action-packed adventure continues as Carolyn, Mario and Ethan fulfill a promise to her father that breeds danger and emotional conflict; Notechis (Note) confronts his worst fear accepting his destiny to save another; and Amanda struggles with her rescue because of the strength of her bond to the Skean Chief. With the "elixir of life" being perfected Miranda Levy's power-hunger and obsession to control the Agency intensifies. Wit In "Pledged" the third book in the fascinating "Gateway" series the action-packed adventure continues as Carolyn, Mario and Ethan fulfill a promise to her father that breeds danger and emotional conflict; Notechis (Note) confronts his worst fear accepting his destiny to save another; and Amanda struggles with her rescue because of the strength of her bond to the Skean Chief. With the "elixir of life" being perfected Miranda Levy's power-hunger and obsession to control the Agency intensifies. With O.W.E. (Otherworldly Work Experience) permits being issued to specific humans to work in demon realms Miranda determinedly modifies the gateways for the Agency's access which she uses in a nefarious bid to take over the organization. But her plans go awry when one of the Investors goes into hiding and she loses the two Otherworlders she prizes. This is a story filled with subterfuge, violence, betrayal and even stronger undercurrents of love, friendship, hope and self-sacrifice. In an imaginative world with multiple realms where shape shifting and magic abound, Louise G. White has created faeries, demons and powerful high mages. The Precators and their highly skilled agents bring balance to the realms, while the Agency exploits the power of Otherworlders that the demon Taz's organization were unable to rescue and integrate into human society. Cleverly the author uses the main characters to relate the challenges and chaos the swirls around them as events unfold heightening the emotional intensity of the plot; like Amanda's struggle with her bond to Lucas, Edward's unsuccessful seduction of the human Rhona and his aversion to embracing his Kistatus body. As the strands of the plotline weave together the action heats up with twists and turns as suspense mounts keeping the reader on the edge of their seat from beginning to end. As Carolyn grapples with her weakening bond to Note romance brews with Ethan after he braves the tear to rescue her. Yet she can't forget Note's quiet strength, patience, loyalty and unselfishness especially when confronted with his self-sacrifice at her brother's inauguration. 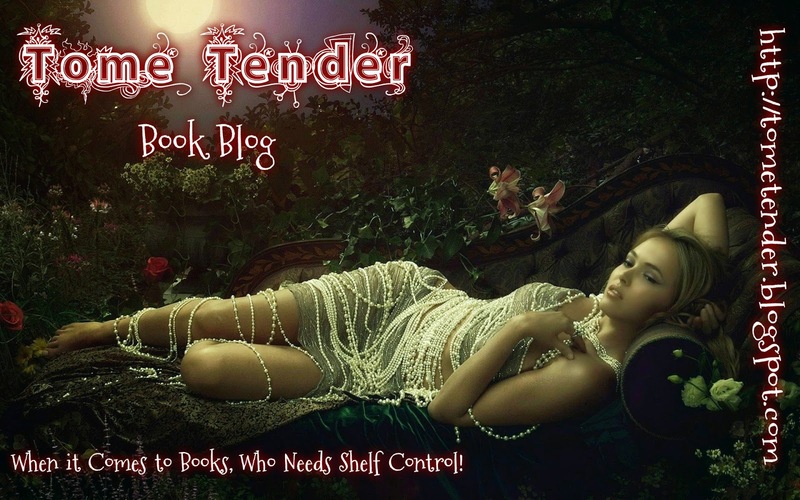 I loved the romance that sparks between Jonah the shadow- faerie and headstrong Mel as well as the intimacy between Sean, the high mage and Siren who has a proclivity for women. With every romantic entanglement there are also warm friendships that strengthen the characters as they face emotional challenges and difficult decisions like Siren and Ella; Note and Sean; and Mario and Carolyn. In a story where the High Mage of Skean and Chief of the Lilium are powerful, merciless and disliked by their children, the author adds a richness to the storyline with the acceptance and closeness that eventually surfaces between them. This entire series is rich in familiar and new characters like the quirky shadow-faerie Ella; self-assured and cautious Mario; and the stubborn, confrontational Edward. Note shines in his determination to stay faithful to the woman he loves while Carolyn's emotions are constantly in flux not only romantically but in making decisions that will affect her future. It is the high-energy, passion and drama of characters like these that not only enrich the plotline but make them unforgettable. I loved "Pledged" with its inventiveness, world building and fast-paced adventure and I can't wait to see what Louise G. White has in-store next for her readers . Having read the first two instalments in this series I couldn't wait to see where Carolyn's fate led her next. Of course with so much happening between books one and two, and such a fantastic array of unique characters with their own challenges, Carolyn's story wasn't the only one I was interested in. Starting shortly after the end of the last book, we are straight away emerged back into the story. I particularly liked how, in this book, the author had done subtitles highlighting the person's poi Having read the first two instalments in this series I couldn't wait to see where Carolyn's fate led her next. Of course with so much happening between books one and two, and such a fantastic array of unique characters with their own challenges, Carolyn's story wasn't the only one I was interested in. Starting shortly after the end of the last book, we are straight away emerged back into the story. I particularly liked how, in this book, the author had done subtitles highlighting the person's point of view you were following at that time. I have never seen this in anything I have read before now, and thought it worked really well - especially when I was ready to turn in for the night and my eye caught who's next, compelling me to read for just a little longer. The story itself is not only well constructed but possesses the author's familiar flowing rhythm with her visual and immersive style. Each of the characters, as I mentioned above, have their own story arcs which are expertly addressed in line with the main plot. From the initial book in the series to this one, you can clearly see the growth of each of the characters and the building of their relationships, which, for me, is not only the sign of a good story, but an indication of the thought and depth given to the characters in their creation. With such a wide cast of protagonists and antagonists there is always a risk of falling into cookie-cutter stereotypes, something this author has not once done during the series. Each one of the characters is unique with their own distinctive personalities, which, in a very true-to-life manner, show some absorption of the occasional mannerism from the group they were in. As with both the previous books there is no shortage of imagination, conflict, and investment. I would highly recommend this series to anyone, certainly deserving of a 5 star rating, not once throughout the entire series have I been disappointed. I look forward to seeing more work from this author. because I first I was a bit confused. This short series was good. I liked all the different characters. It was a little hard to keep up with who was where and what was happening at time. But overall it was a great story.